Shade was purchased as a puppy from a breeder by a young man in college. The young man worked incessantly to train him and Shade became a well behaved companion. But Shade continued to prove that he needed more than a large home to meet his needs – being a young wolfdog and having a lot of energy! 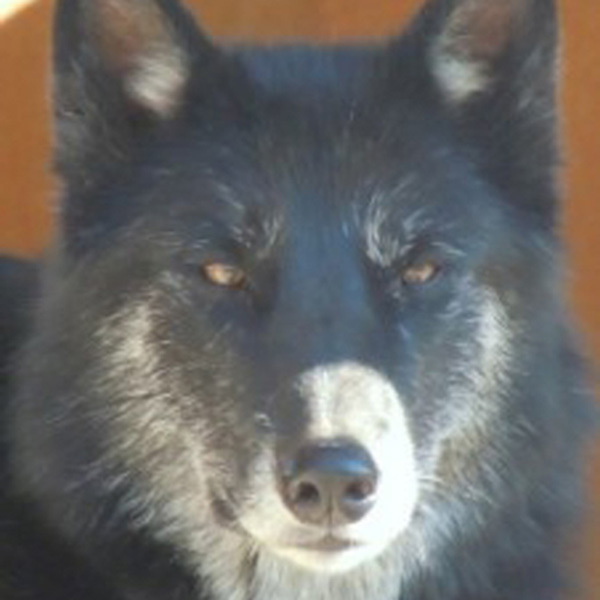 Regardless of the nurturing and care he received in the home, Shade is still a wolfdog and proved his pack mentality. Shade’s family realized Shade’s heightened wolfdog needs and found Wolf Connection as Shade’s forever home. Though Shade does not work directly with guests and clients, he teaches everyone who walks near his kennel about the importance of honoring the early stages of development with patience and calmness. Shade has settled in to his now forever home and is quite happy and grounded. He’s a very loving, loyal pup who loves to run on hikes with an endless supply of energy.